Miss Dreamer Sims, of New Holland, was nominated by her fourth grade teacher Miss Boedecker of Miami Trace to attend National Youth Leadership Forum: Pathways to STEM, to learn about leadership, engineering and medicine. She completed the course successfully. 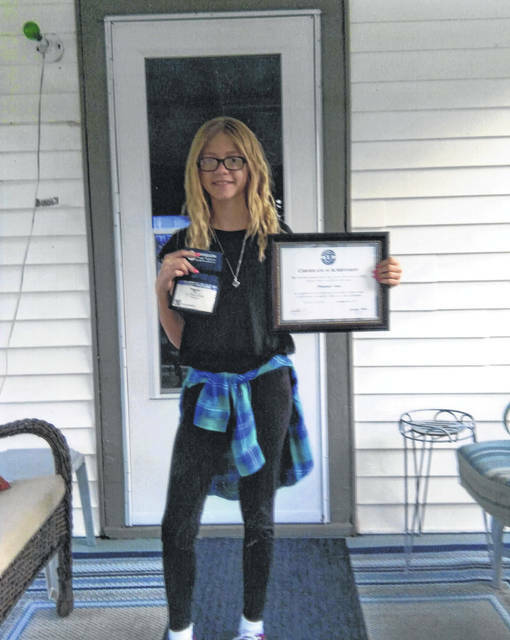 https://www.recordherald.com/wp-content/uploads/sites/27/2018/08/web1_img057.jpgMiss Dreamer Sims, of New Holland, was nominated by her fourth grade teacher Miss Boedecker of Miami Trace to attend National Youth Leadership Forum: Pathways to STEM, to learn about leadership, engineering and medicine. She completed the course successfully.